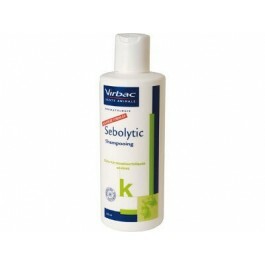 SEBOLYTIC is an anti-seborrhoeic medicated shampoo for dogs and cats with greasy skin. 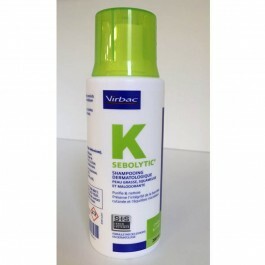 SEBOLYTIC is an exfoliating and degreasing medicated shampoo for cats and dogs with very greasy skin. SEBOLYTIC is a gentle, soothing formulation with tea-tree oil to re-establish and maintain the natural microbial balance of the skin. Sebolytic is unperfumed, however scent is naturally provided by Melaleuca tea-tree essential oil. Nonionic Spherulites - a patented encapsulation system that allows a gradual release of the active ingredients and prolonged action. 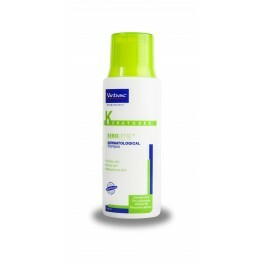 Wet the coat with lukewarm water, then apply the product to the coat. 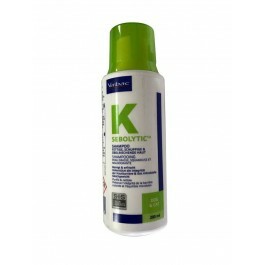 Massage the shampoo evenly over the whole body of the animal, then rinse. Repeat and leave for 5-10 minutes before rinsing again with warm water. Shampoo once to twice weekly, or as directed by your veterinary surgeon.